A lot of people like the idea of making snap decisions in hiring, and a lot of hiring advice tells job seekers that interviewers make decisions within minutes. Snap decisions do happen, but they’re uncommon—a new study published in the Journal of Occupational and Organizational Psychology says it’s more common for job interviewers to take their time. Researchers collected data from 116 interviewers (from a range of companies) interviewing 691 applicants. 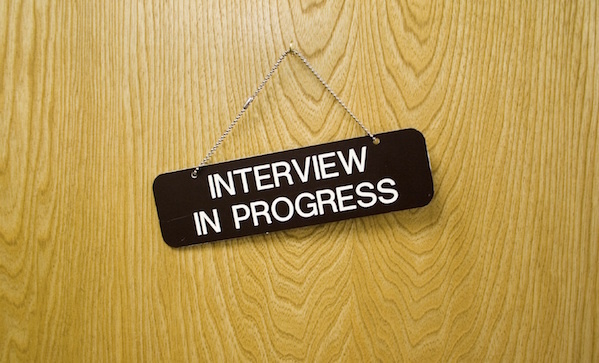 They answered questions about their interview approach prior to the interview, and they answered questions after the interview, including how long it had taken them to make a hiring decision. Snap decisions were in the minority—only 4.9% of decisions were made within a minute. The vast majority (69.9%) came well after five minutes—including 17.7% by the fifteen minute mark and 22.5% made after the job interview ended. Interestingly, job interviewers who liked a little small talk prior to the interview tended to make quicker decisions, as did interviewers with lots of experience or lots of confidence. However, interviewers with more training in interviewing tended not to make any snap judgements at all. If you’re an interviewee, make your entire interview count—don’t bet all your chips on that first impression. And if you’re an interviewer, consider interview training. Keep in mind that books like Blink appeal to egos—and there isn’t a lot of room for ego in decision making.